Our flora, fauna + features are what we’re most known for. It took more than half a billion years to make Chimney Rock! The process began during the Earth’s distant geologic past, when a portion of its molten interior welled up, cooled and solidified into a huge mass of granite deep below the surface. Jump ahead millions of years, after high temperatures and extreme pressure changed the mass from granite to Henderson Gneiss (pronounced “nice”), the rock that forms our magnificent namesake, the 535-million-year-old Chimney and its surrounding cliffs. 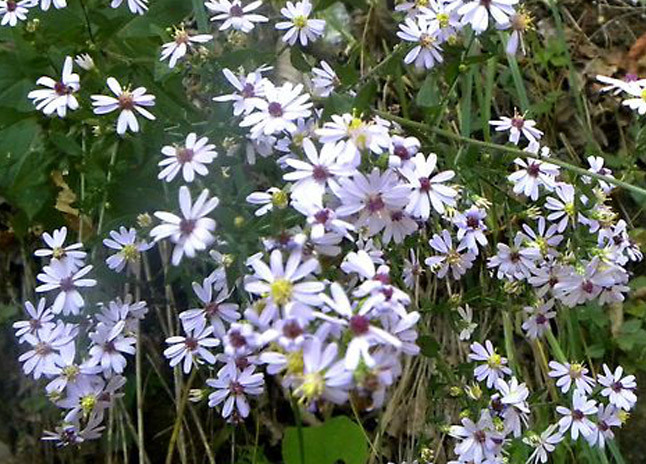 Throughout the growing season, wildflowers and other plants carpet the meadows and mountainsides at Chimney Rock. Our mix of topography, rocks, soils, availability of moisture and exposure to sunlight give them just what they need to thrive. More than 550 species of vascular plants—including 32 ferns and fern allies—have been identified. 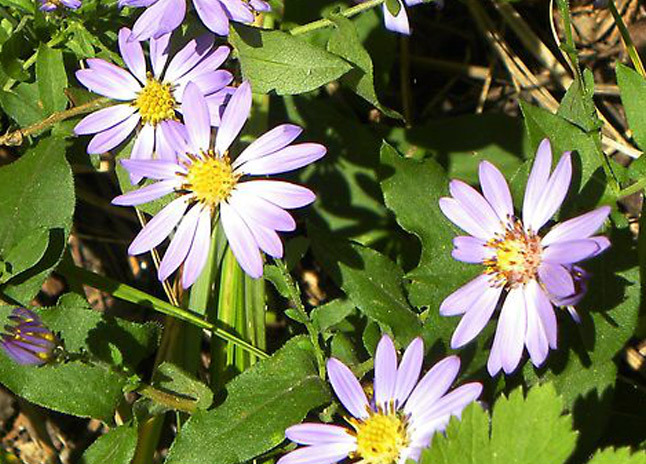 We’re also a safe haven for several species on the list of North Carolina’s Endangered, Threatened and Candidate Plant species and one on the Federal list of Endangered and Threatened Wildlife and Plants. 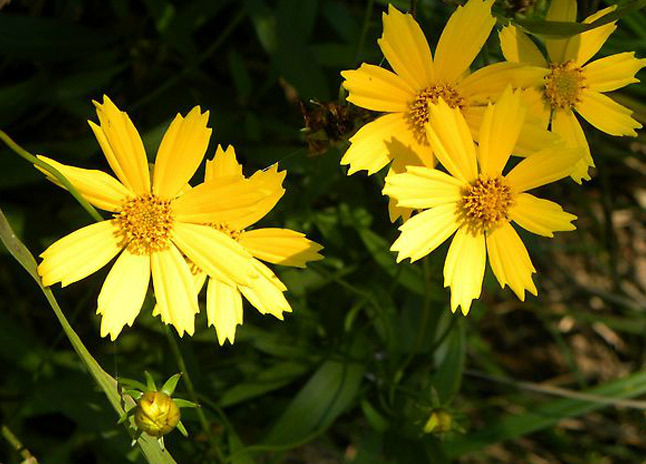 To see some of the flowers and plants that are in bloom. visit our What’s in Bloom page. From its riverbanks to its highest cliffs, Chimney Rock is a haven for North Carolina resident birds, migrating birds and of course, bird lovers. Deciduous forests on the north- and east-facing slopes attract many summer-breeding birds such as Scarlet Tanagers and as many as 15 varieties of warblers and vireos. The most elusive of these are the Cerulean and Swainson’s Warblers. 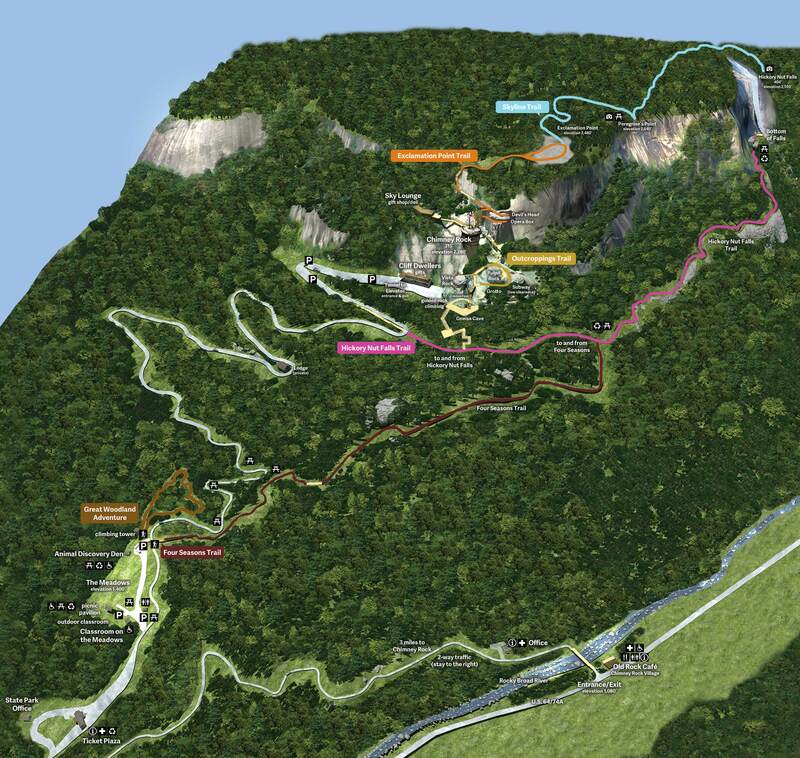 You can spot Cerulean Warblers in the tall trees immediately below the parking lot at the Chimney and Swainson’s Warbler in the rhododendron thickets, especially along the Hickory Nut Falls trail. A birder’s paradise, people have been flocking to Chimney Rock for years to catch a glimpse of their favorite North Carolina birds. Chimney Rock hosts guided bird walks spring through fall and the region’s premier fall migration birding event, Flock to the Rock, every September. Featuring live Birds of Prey programs, this weekend of birding activities includes bird walks guided by local ornithologists, workshops ranging from bird photography to hummingbirds and backyard feeding, hawk watches, family nature walks and kids’ activities. Chimney Rock is an official site on the North Carolina Birding Trail. While you’re here, don’t forget to train your binoculars along our cliff walls and up into the surrounding sky. You just may have the chance to see the amazing acrobatics of a Peregrine Falcon high above the Gorge. 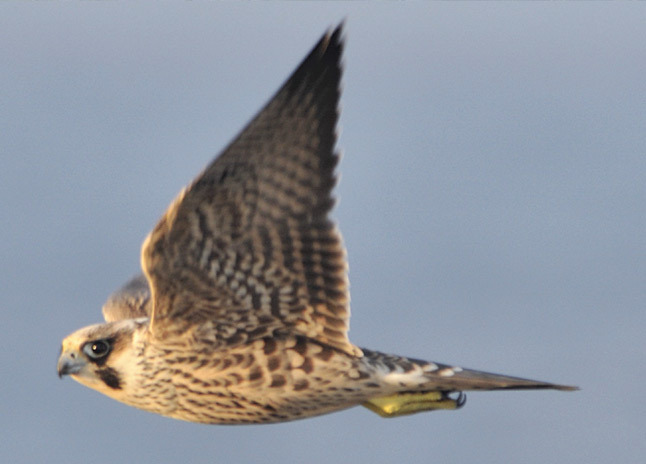 Slicing through the air at more than 60mph or swooping on smaller birds in flight at the incredible diving speed of 200mph, Peregrine Falcons (Falco Peregrinus) once again grace the skies in the North Carolina mountains! By the early 1960s, none of these striking birds were found in the area. In recent years, these magnificent birds have made a comeback thanks to captive-breeding programs. In 1990, three of these young birds fledged from the high, nearly-inaccessible cliffs of Chimney Rock and since then, Peregrines have been sighted in the area almost every year. 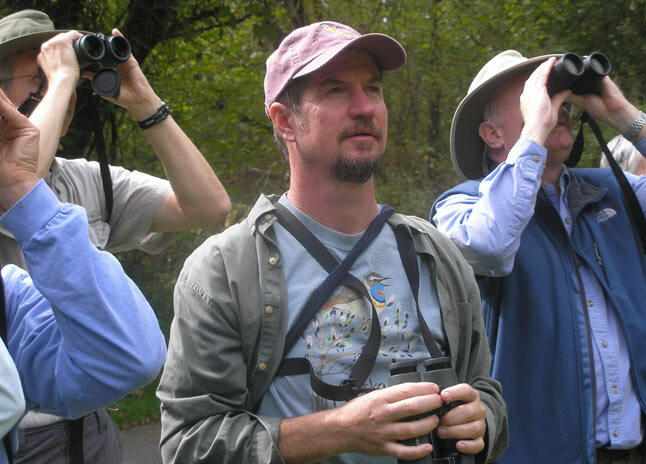 View the newest edition of ” Your Guide to Birding at Chimney Rock ,” edited by Simon Thompson. You can even download a PDF copy to take out on the trails. Slowly but surely, the winds, waters and extremes of temperature eroded the surface of the earth and carved away exposed portions of the rock weakened by faults and joints, including the area between the cliffs and the Chimney. Eventually, more pieces of the rock were removed by the elements, and the Chimney grew not up, but rather out and down from the side of the cliff. As erosion continues, the Chimney will appear to grow taller and further isolated from the cliff face. As you walk through the Park, you’re sure to notice the oval white “eyes,” which somewhat resemble hickory nuts, in the surrounding rock. These eyes (augen) are found in much of the exposed rock in the Hickory Nut Gorge, the valley where the Park is located, and according to legend, they gave the gorge its name. It’s not often that you get to see a mountain from the inside, but that’s exactly what you can do in the 198-foot-long tunnel to our 26-story elevator. Check out the layers and veins of rock and minerals in the year-round comfort of the 55-to-65 degree tunnel. 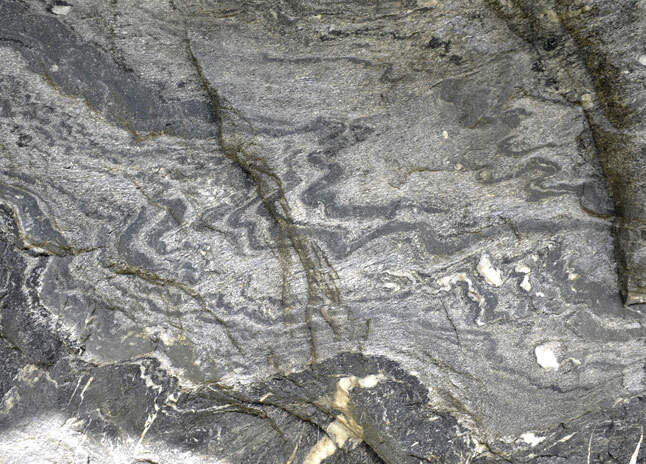 See the white pegmatite veins imbedded in the finely banded matrix of the Gneiss. These illustrate cracks that opened long ago which were subsequently filled with liquid igneous material that cooled slowly. Note that the coarse-grained veins are outlined by narrow black bands of biotite or black mica. You’ll also notice all kinds of joints, fractures and faults, but don’t worry. Neither the tunnel nor this mighty mountain will collapse—these ancient fractures are one of the most common features in the crust of the earth. Weathering and erosion also played an important role in shaping the Park’s natural formations, clearing away softer materials to expose proud masses of rock. These processes also gave the spectacular exposure of vertical walls that you see throughout the Park. While standing on top of the Chimney, look below at Pulpit Rock and the Rock Pile. They too were carved out of the mountain by water along several series of interlacing joints. Other wonders are the result of breaks and falls. The Opera Box, for instance, provides a splendid viewpoint of Lake Lure and the Hickory Nut Gorge, thanks to a large block of Gneiss that separated and fell. Where did it go? Right under your feet (and the concrete used to level things out). Further along, Devil’s Head is a piece of a huge sheet of rock that snapped off somewhere above, slid onto the ledge and broke into several pieces. (The rest fell into the woods below the cliffs.) And our Gneiss Cave is an example of a “talus,” or fallen rock, cave that formed when a huge slab of rock “exfoliated” or cast off from the main mountain wall and slid to the cliff base. It formed the small cave by leaning back against the mountain and creating an opening. The geological story is, of course, much more complex than this. It includes theories of Plate Tectonics, plate subductions and series of orogenies that comprise the fascinating story explained in our brochure covering the geologic history of the Appalachian Mountains, within which Chimney Rock at Chimney Rock State Park lies.